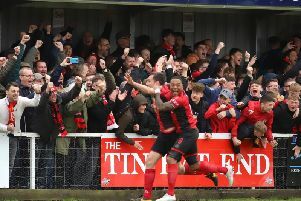 Kettering Town clinched the Evo-Stik League South Premier Division Central title on a famous day in the West Midlands. Kettering Town are the Evo-Stik League South Premier Division champions. 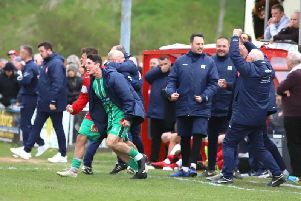 Marcus Law piled the praise on his “fantastic” Kettering Town squad after they were confirmed as Evo-Stik League South Premier Division Central champions. 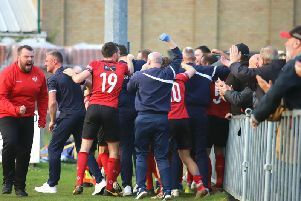 Kettering Town have been crowned Evo-Stik League South Premier Division Central champions. 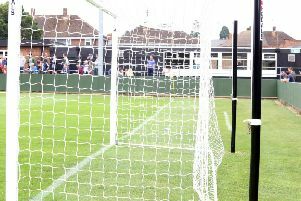 The Easter Monday derby clash between AFC Rushden & Diamonds and Kettering Town has been made all-ticket for away supporters. 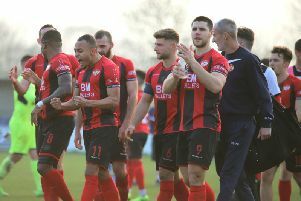 Kettering Town will bid to seize their second chance to clinch the Evo-Stik League South Premier Division Central title when they head to Halesowen Town this weekend. 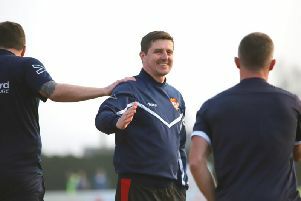 Craig Stanley fully expects the Kettering Town players to pick themselves up as they bid to finish the job and claim the Evo-Stik League South Premier Division Central title this weekend. 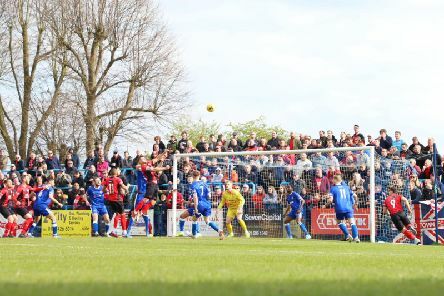 Kettering Town are set to be backed by a huge away following as they go for the title again this weekend. 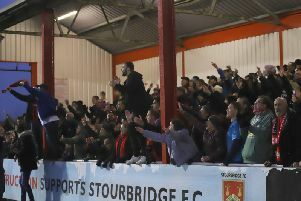 A potentially great day in the recent history of Kettering Town turned into one to forget as they fell to a late 2-1 defeat to Alvechurch where a point would have been enough to win the Evo-Stik League South Premier Division Central title. 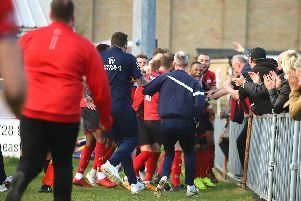 Kettering Town missed their first chance to clinch the Evo-Stik League South Premier Division Central title after they suffered a defeat at Latimer Park. 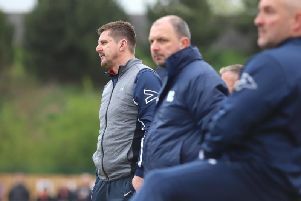 Marcus Law was left frustrated that Kettering Town were unable to give a bumper crowd a title to celebrate after their hopes were dashed by a 2-1 defeat to Alvechurch at Latimer Park. 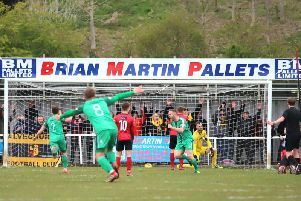 Kettering Town missed out on their first opportunity to claim the Evo-Stik League South Premier Division Central title as they suffered a 2-1 defeat to Alvechurch at Latimer Park. 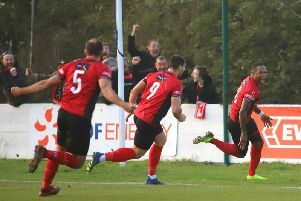 Marcus Law is expecting Kettering Town’s big players to come to the fore once again as they bid to wrap up the Evo-Stik League South Premier Division Central title this weekend. 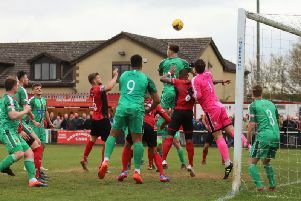 Aaron O’Connor fully expects his Kettering Town team-mates to play the game and not the occasion once the first whistle blows at Latimer Park on Saturday. 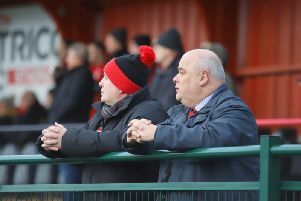 Kettering Town chairman David Mahoney admits there is “a buzz” around Latimer Park as the club’s first opportunity to clinch the Evo-Stik League South Premier Division Central title approaches. 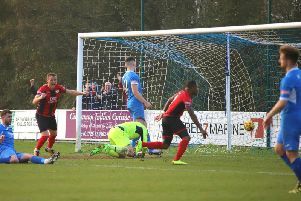 Aaron O’Connor scored the goal that put Kettering Town on the brink of claiming the title - but he wasn’t even sure if he would feature in Saturday’s clash at Leiston. 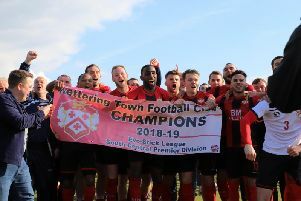 Marcus Law has urged the Kettering Town fans to come out in force for what they hope will be a title celebration at Latimer Park next weekend. 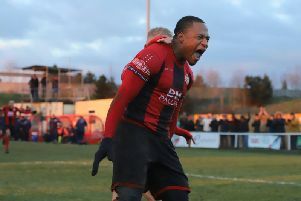 Aaron O’Connor marked his return from suspension by firing home a dramatic stoppage-time winner as Kettering Town moved to the brink of claiming the Evo-Stik League South Premier Division Central title with a 1-0 success at Leiston. 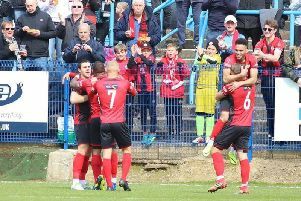 Marcus Law knows Kettering Town can set up a first opportunity to claim the Evo-Stik League South Premier Division Central title with a win at Leiston this weekend.